This mini monster delivers surprising versatility anywhere. 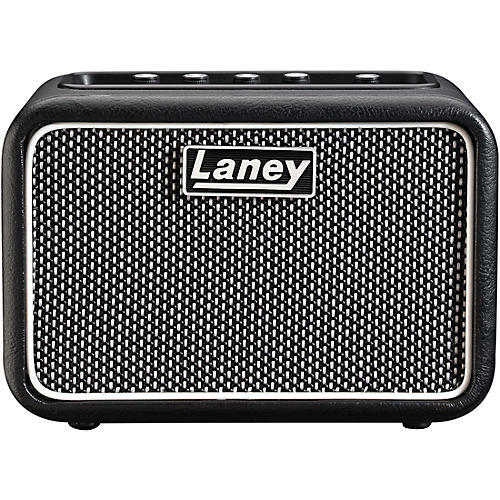 The Laney MINI-ST-SUPERG is a battery powered amp, perfect for desktop, backstage or practice, a super compact solution for guitar tone and performance anywhere. The MINI-ST-SUPERG model features a clean and drive channel, gain, tone and volume dial, guitar input, Aux in, On-board tape style digital delay with level control, headphone socket and the unique Laney LSI – Laney Smartphone Insert.